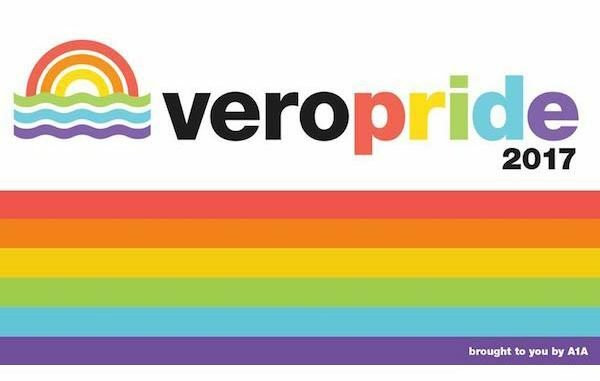 Vero Pride 2017 event scheduled in June. VERO BEACH – On Saturday, June 24th, Vero Beach will join a vast majority of cities from all across the globe to show support for its LGBTQ community. This is a major first for Vero Beach as it looks to facilitate an evening whereby allies and members of the LGBTQ community come together to jovially convey a message of acceptance and belonging. Best-Dressed Contest | MC’d by Key West’s finest; dress your best & strut your stuff on the runway to win fabulous prizes! Prizes & 50/50 Cash Raffle | Prize packages from Vero Beach Hotel & Spa, Justin’s Salon on Ocean, and more! After Party | Use your Pride Fest Rainbow Wristband for 20% your tab at Kilted Mermaid from 10pm-12am! Amendment One Activists, Inc. (“A1A”) is the non-profit entity organizing Vero Pride 2017. A1A is a party-neutral, political activism based organization aimed to exercise our First Amendment Rights through beneficial community events and outreach.